Vancouver, a coastal seaport in western Canada, is one of the most diverse cities in the country. A popular tourist destination and place to live, it is well-known for its scenery, climate, and friendly people. With a thriving economy, including its animation and film industry, it has also hosted a variety of international events, such as the 2010 Winter Olympics. How is Vancouver performing in international rankings that measure the global power, business attractiveness and sustainability of cities, and their reputation? Vancouver as a hub for creativity and innovation. Ranking 28th in the Global Power City Index (2017), Vancouver is the 2nd best-placed city in Canada. The city received a high score for Liveability (9th) and Environment (10th), in both cases the best position of any North American city. It scored lower on Economy, R&D, and Cultural Interaction. Its weakest point: Accessibility, where it ranked 38th. The index also measures the attractiveness of cities for different audiences. 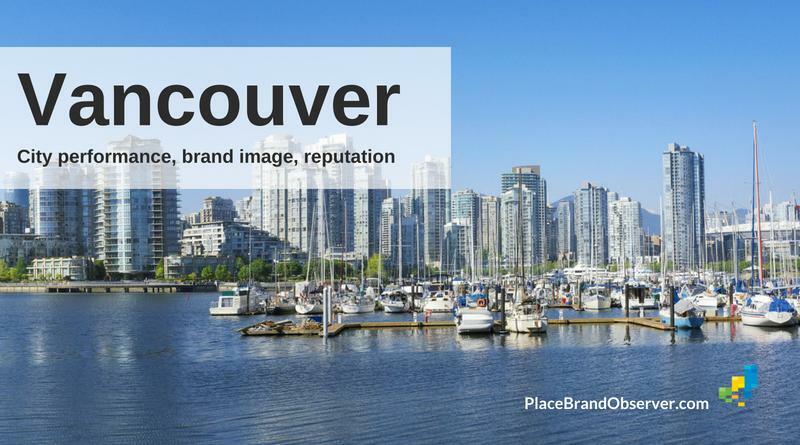 Vancouver, according to the study, seems most attractive for artists (14th position), followed by researchers and managers (23rd), residents (26th), and visitors (35th). Vancouver enjoys a strong reputation, ranking 5th in the City RepTrak (2017) study: the highest position of any North American city. Looking at the specific city functions covered by the study, Vancouver's reputation is especially strong as a place to live and work, ranking 4th in this category. In its first year of being included in the Ipsos Top Cities Index (2017), Vancouver scored 26th overall. It shared the 3rd position (together with Abu Dhabi and Stockholm) as a city for living, and 11th (together with Vienna) as a city to visit. In the Resonance World’s Best Cities Report (2018) Vancouver ranked 29th overall, while leading the list in the People category, mainly thanks to its diverse population.